Florida is strictly a no-fault divorce state, which means that neither party needs to prove the other side engaged in wrongdoing. Divorce filings in Florida are accepted under one of two grounds -- that a judge declared one spouse mentally incapacitated at least three years before the filing or that the marriage is irretrievably broken. If the other spouse denies the marriage is broken, he can file an answer contesting the divorce. If the answering spouse contests the divorce, a Florida judge can order either or both sides to participate in marriage counseling. The judge has the authority to require the couple to see a psychologist, psychiatrist or a member of the clergy acceptable to the parties. Under Florida law, the judge can also delay the case for up to three months to give the spouses time to reconsider the divorce. 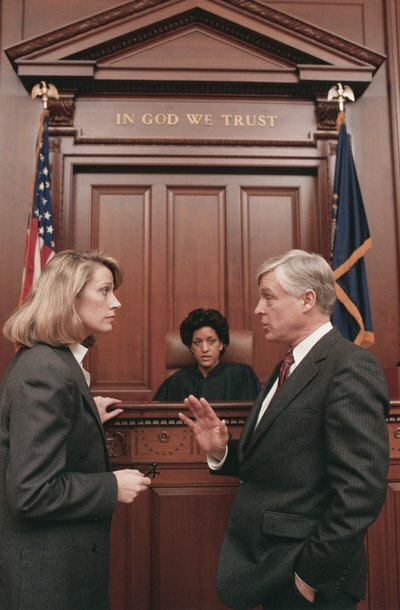 Florida law also gives the judge discretion to order marriage counseling when the divorcing couple has minor children. If one party truly does not want the divorce but would like the court to decide child support issues, he can file a petition with the court. Ultimately, the court cannot force someone to stay married. If counseling fails and delaying the case does not bring about reconciliation, the divorce will proceed. The answering spouse might also contest the terms of the divorce. While Florida is a no-fault state, a contesting party can still disagree with the terms of the divorce based on the other side's actions during the marriage. If one party committed wrongdoing, it can affect the way the court distributes marital property. Contesting the terms might affect the outcome of the case, but it will not stop the divorce from being granted. The decision of where to file for divorce may be based on convenience. In Florida, the filing spouse makes an initial election regarding which county to bring the action in, and the responding spouse is then provided a short period in which to object. Because it is possible for more than one county to meet the venue requirements, a Florida court must take into consideration the relative convenience and burdens imposed on all parties and witnesses in deciding whether to approve or deny a request for change of venue.